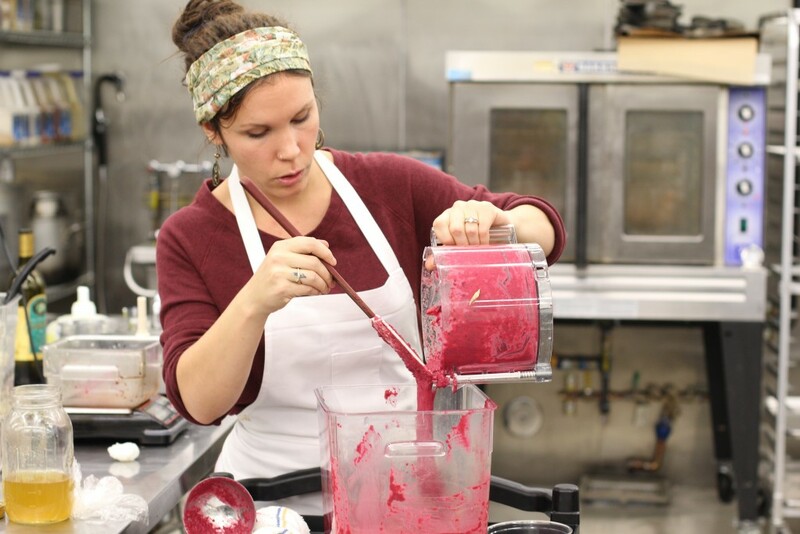 Late 2015, Pilgrim’s Market began producing its own fermented food products. Storeowner Joe Hamilton has enjoyed the flavors and benefits of fermented foods for a very long time, but when he met Cole Griffin, his aspirations to create an in-house fermentation project materialized. Cole’s husband Jason, Pilgrim’s grocery manager rarely took a sick day and talked aboutregularly eating sauerkraut and drinking kombucha made by Cole. Shortly after, Cole became our in-house “Cultured Mama” and has been hard at work creating a Pilgrim’s line of products utilizing fermented foods. Cole is from the Pacific Northwest and travelled a lot before settling with her husband and two girls here in Coeur d’Alene. Throughout her travels she lived in Hawaii, where she first experienced a process called lacto-fermentation. She shared a house with a person who constantly was fermenting food beneath their kitchen counters, even though she wasn’t quite sure what that meant at the time. Four years ago, after moving to Coeur d’Alene, she met a farmer at the Kootenai County Farmers’ Market who told Cole about her use of a lacto-fermentation method to preserve the harvest. Cole then went home and researched this preservation method. She discovered it was highly nutritious and could add probiotics to her diet. Now, she’s a master of this unique process. 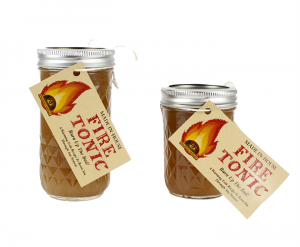 In the first few months of operation, Cole’s lacto-lab has produced krauts, carrot coins, dips, chutney and the popular Pilgrim’s Fire Tonic, a drink made of apple cider vinegar infused with tonic herbs. Producing and selling fermented foods is important toPilgrim’s because it’s an efficient way to add important probiotics to your diet…not to mention they taste delicious. Cole is currently working on creating an abundance of future products for Pilgrim’s line of fermented foods. She especially wants to get creative with kraut. The first krauts she put on the Pilgrim’s shelves were just plain cabbage and salt. She is also eagerly waiting for winter to end and spring to arrive so she can highlight local produce in her fermentation. Soon, Pilgrim’s will be building a market garden directly behind the store, and Cole will be able to use produce from our own “backyard.” “The whole local food movement is really important to me,” she said. Stop in the store and check out what Cultured Mama items we currently have in stock near the Deli Grab’n Go, and ask us about Cole’s weekly tastings.